Irish small and medium sized businesses view Brexit as the top threat to global economic growth, followed by political uncertainty in the US and global terrorism. The Global Business Monitor, published by Bibby Financial Services Ireland, shows that 69% of Irish SMEs consider the UK's vote to leave the European Union as the biggest threat to global economic growth. However, the report also reveals that 97% of Irish SMEs plan to invest in their businesses in the next 12 months. Irish SMEs also appear more confident in the strength of the domestic economy than the global economy. Just over 67% of those surveyed have described the Irish economy as performing well, compared to just 22% in relation to the bigger global picture. The Global Business Monitor is an international survey of over 1,200 small and medium sized enterprises across 11 countries - Ireland, the UK, the US, Canada, Hong Kong, Singapore, Czech Republic, Poland, France, Germany and the Netherlands. Today's report show that Irish SMEs in the hospitality and leisure sectors are most positive about the economy citing an increase in sales over the last 12 months, while companies in the transportation industry say sales have remained the same. Industries which saw a decline in business performance over the past 12 months are mainly involved in the business services and manufacturing sectors. SMEs in the wholesale and distribution industry are most pessimistic about the future, with 24% saying it will worsen over the next 12 months. Today's survey also reveals that 64% of SMEs see rising overheads/costs as the greatest challenge to their business right now, while 32% of small businesses suffered from bad debt over the past 12 months. The average amount written off by each business due to customer non-payment or insolvency stands at €13,780, according to Bibby. Internationally, SMEs in Germany have written off the most in the past 12 months with an average of €23,000. Meanwhile, the average number of days Irish SMEs have to wait to receive payment is 36 days, slightly longer than the international average of 34 days. 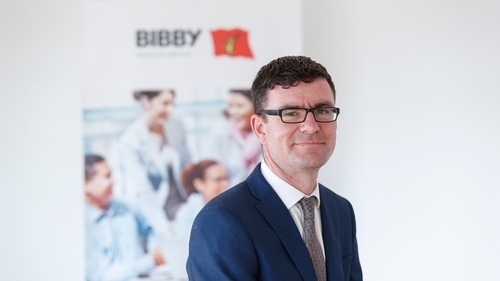 Mark O'Rourke, Head of Business at Bibby Financial Services Ireland, said that all economic indicators point to a strong economy and one that is primed for additional growth throughout the remainder of 2017 and 2018, whatever challenges are encountered. "In the face of global economic and political uncertainty, Ireland remains a stable, competitive and pro-business economy," Mr O'Rourke added. He said that in terms of the economic outlook, primary risks to the Irish recovery are external. "In particular, Brexit will have an, as yet, unknown long-term impact. For the moment, the main impact is via the value of sterling. At the same time, there are positive developments externally, with the global economy, including the euro zone, picking up momentum, which in turn is likely to boost Irish exports," he added.